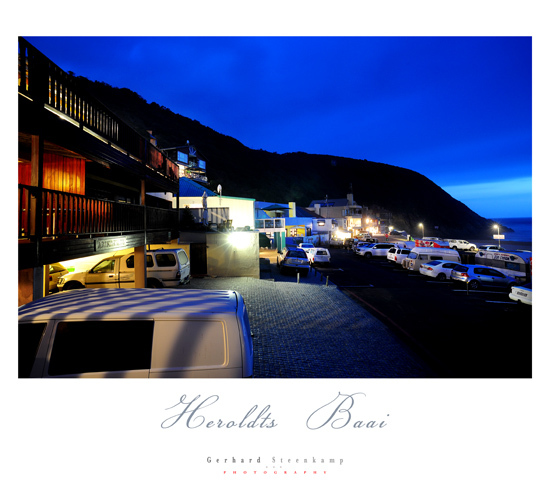 Took this image of Heroldts Bay on 30 December 2009 with a Nikon D3 and a Nikon 20mm F2.8 Lens. It was 8H20 pm and my Exposure was 15sec long at F – Stop 11. ISO setting was at 800 and the Picture Control on Vivid. The Noise Reduction setting for long Exposure was set at normal.